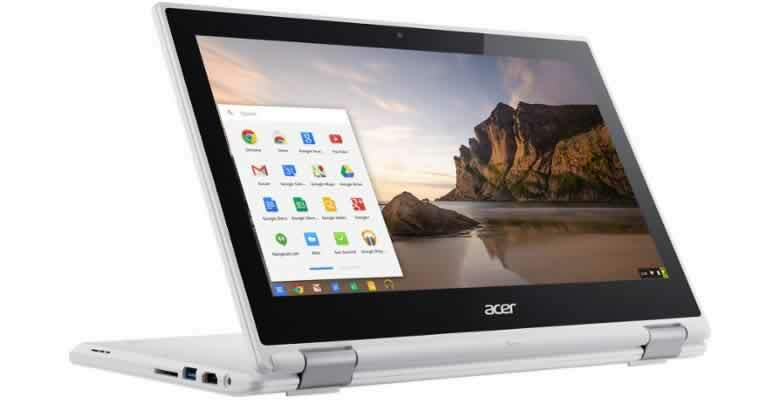 The Acer R11 Chromebook is not the newest of Chromebooks. It’s been available for a couple of years. However, it’s still a big seller, so why is this? The Acer Chromebook R11 is great value for money, so it suits anyone who wants to buy a Chromebook on a budget. 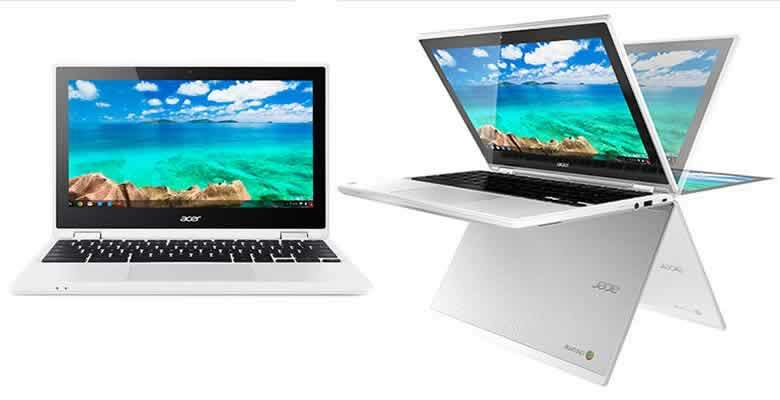 The Acer Chromebook R11 is ideal for anyone looking for a convertible laptop on a budget. It's been around for some time now and still selling well. You should not expect the best in performance from this Chromebook considering the price, but if you spend most of your time surfing the web then this may just be the Chromebook for you. It’s fair to say this isn’t the sexiest Chromebook money can buy, but that doesn’t matter because this Chromebook still looks relatively good. This is helped by the textured metal covering most of the Chromebook. This texture makes the Acer R11 easy to hold onto, so you will not worry about dropping it on the move. 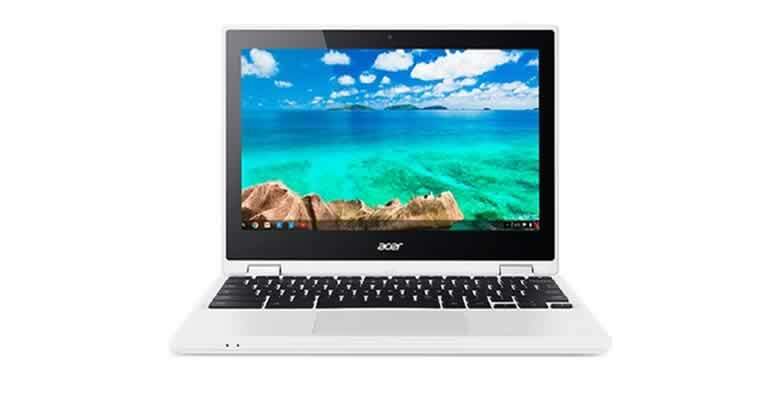 The rest of the body is made up of white plastic, which makes the Acer R11 a tough Chromebook. It should cope just fine with the occasional knock while you’re out and about. If you’re looking for a Chromebook to use on the move then this might be the one for you. This is thanks to its small frame at just 29.4 x 20.4 x 1.9 cm and its weight of just 1.25kg. The great thing about the Acer R11 Chromebook is that it comes as a convertible, which is great for the price. This means you can use the Chromebook as a laptop or a tablet. The Acer R11 comes with an Intel Celeron quad-core processor capable of 1.6GHz. This may not be the best processor in the world. However, when you consider this includes 3MB of cache and a turbo boost up to 2.08GHz, it’s definitely not an underperformer. Also, the processor specs may look out of place on a Microsoft Windows laptop, but thanks to the super light Chrome OS this Chromebook packs quite a punch. It comes with either 2GB of RAM or 4GB of RAM. A computer running with 2GB of RAM in this day and age is a bit of a challenge. If you’re only looking for a Chromebook to surf the web then this is fine. The Acer R11 comes with 32GB of storage on the 4GB model. This is pretty good for a Chromebook in this price range. You’d normally expect to see around 16GB. If you’re looking for a Chromebook where you can store data locally you’ll maybe want to opt for the 4GB version available. However, you should be aware storing data locally goes against the way in which Chromebooks work. It’s much better to store your data in the cloud using a cloud service such as Google Drive. If you need to do a bit more with your Chromebook then you might want to consider paying the extra for the 4GB version. You’ll notice a big difference if using different applications at the same time. The battery on the Acer R11 is as good as any other Chromebook and you can expect to get about 9 hours from a daily charge. This is much better than what you’d expect from a Microsoft Windows laptop and is one of the huge benefits of a Chromebook. The Acer R11 comes with an IPS display, which is great because it means you’ll get a much crisper image. The display at 11.6-inches makes it one of the smaller displays available, but this is great if you want to use your Chromebook on the move. The resolution provided is 1,366 x 768, which isn’t great but at this price is perfectly normal. Watching movies and surfing the web provides a nice visual, but you would not want to use this Chromebook if you were intending on doing some graphic design. The display resolution is too low for this. The touchscreen works, but it isn’t going to beat the touch screens of the high-end Chromebooks available. Also, until recently Chrome OS was not very good at offering a true tablet performance. However, since the launch of Chrome OS 70 using a touch screen display on a Chromebook has got much better. Most Chromebooks fail when it comes to sound quality. This is understandable because the latest Chromebooks are all about providing a super thin frame. The problem with this is that sound suffers. Luckily, the Acer R11 provides really good sound for the price. You’d be surprised how loud it can go and more importantly it does not appear to suffer from any loss of quality as the volume is turned up. Obviously, you’ve got to stay realistic and appreciate this is a laptop computer, so you should not expect much when it comes to the bass. If you’re after a Chromebook that can also be used as a tablet at a budget price then this may be the Chromebook for you. The 2GB model with 16GB of storage is fine for anyone just looking to surf the web. However, if you need a little more from the performance then you should definitely consider the 4GB version with 32GB storage. Not only do you get the extra storage, but you will really notice that extra 2GB of RAM when you task your Chromebook with multiple tasks. 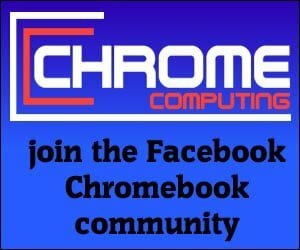 A great Chromebook for anyone on a budget. The fact you can use it as a tablet is great at this price range.